Here is an excerpt from my new book, Diabetes: The Real Cause & The Right Cure. 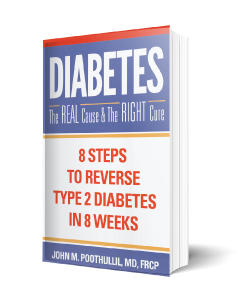 If you have diabetes, this book can make a real difference in your life. Think how wonderful life can be if you do not need to inject insulin or take medications. Think how comfortable you will feel knowing that you will not incur the serious consequences of diabetes in later life. Diabetes is a progressive disease – unless you do something about it! And that something is to alter your diet as much as possible. Make every effort to stop eating wheat, rice, corn and other grain products. We invite you to read this blog and order a copy of the book today. Do you need all this nutrition? Are you listening to your brain’s hunger signals? 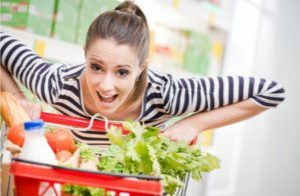 Do you know what your hunger signals are and how to respond to them properly so you do not over-consume energy nutrients your body does not need? This explanation of our regulatory mechanism of nutrient intake— based on our sensory experiences of taste, smell, and chewing—is applicable to humans of all ages—infants, toddlers, children, and adults. Your nutritional regulatory system is no different than how your other senses prompt your brain to react to stimuli. For example, while looking at a painting, your brain appreciates colors of varying intensity and the lines of demarcation between them. When listening to music, your brain can differentiate the rhythm, loudness, and tempo of notes from different sources of instruments. This in-the-moment enjoyment of the painting and music is possible because signals travel to and between neurons in the brain at speeds faster than 250 mph (which is a very fast speed considering the small space inside our heads). In the very same way, the brain acts as a regulatory system that uses the senses to determine the nutritional value of what we eat. As toddlers, we would not be able to develop an appetite for foods without a natural mechanism to monitor the nutrient needs in the body. Toddlers would also be unable to consume adequate amounts of foods for normal growth and development without a natural mechanism to measure incoming nutrients and assess how much is needed and what is missing. Evidence for the presence of an innate mechanism in infants and children for regulating food their intake was established decades ago. Effectively, the human species would not exist if the brain were not helping us determine what and how much to eat. Being able to enjoy your food requires that you keep your taste and smell receptors healthy. Nature does its part by replacing taste cells every few days. Nerve cells that detect smell sensation are replaced at the rate of one percent each day. It is your duty to keep these sensors in proper working order through oral hygiene, including brushing your teeth. It is important to stay hydrated as well to ensure you have a good salivary flow. Order the book in the month of July 2017 and get a 60% off! PreviousPrevious post:Is it Ok to Eat Quinoa, Buckwheat and Other “Non-Grains”?NextNext post:Why Do People Overeat?